An early 80’s California surf film, Off the Wall 2 was the first to show Curren ripping apart his native Rincon and Sandspit, quickly setting him up to tackle the big leagues. As a two-time West Coast, United States amateur champion, Tom didn’t have the need to outsmart his competitors because he could simply just out surf them. In 1983 Tom entered the pro ranks even though he was still just a gangly teenager. Tom didn’t win the world title right away, but he quickly began to win events around the world becoming a force to reckon with. In the 1985/86 season Tom was poised and ready to claim the championship as his own. In one of his greatest heats ever, Tom defeated nemesis Aussie Mark Occhilupo at Bells Beach to clinch his first world crown. 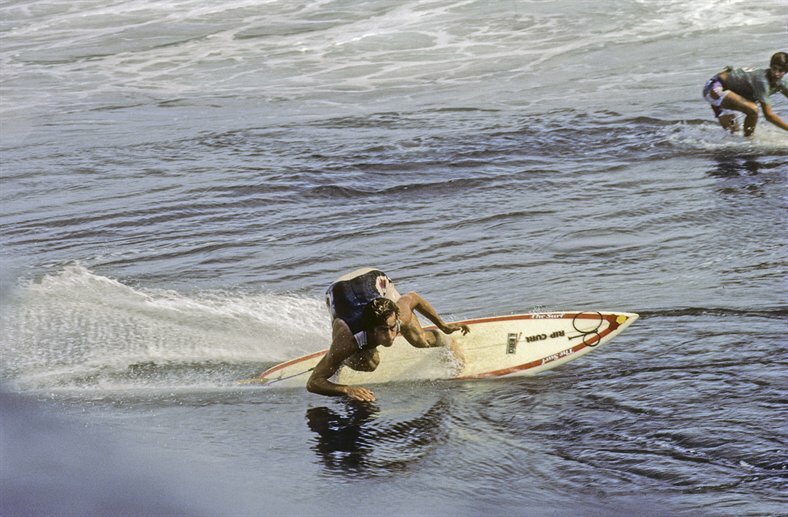 With momentum and style Curren repeated it the following year, highlighted by more legendary heats with Occy, especially at California’s Op Pro. With Curren at the helm of the surfing world, professional surfing began to reach a high point in popularity. The money was starting to pour in with new sponsors, however the sport was beginning to change as the enhanced world tour became a victim of its success. Curren is a fascinating study in contradictions; he has a surfing style that combines smooth, rhythmic, seamlesslesly linked maneuvers with blinding speed, raw power, and unique check turns and body english. He seems to relish victory and the spoils that come with it, and yet he is unassuming, publicity shy, and extremely private. In 1990 Tom surfed his way through the trials and reclaimed the world title which seamed like a impossible feat with the new two-tiered system that the world tour had adopted. His interest in competitive surfing began to fade away even more after he won the 1992 Wyland Galleries Pro at Haleiwa, where he earned his long over due respect in Hawaiian surf. One of Curren’s long time sponsors, Rip Curl, soon launched a video/ad campaign called “The Search,” featuring Curren and crew on an endless quest for perfect surf. Without having the structure of the world tour his style and knowledge of waves became legendary as the sport headed into the 90’s. In 1993, after taking some time away from the tour, Curren re-appeared at an ASP surfing competition in France riding a 1970’s 5’5” Twin Fin he had purchased second hand from a New jersey surf shop. He entered the contest and proceeded to beat Matt Hoy, who was currently ranked 8th in the world at the time. 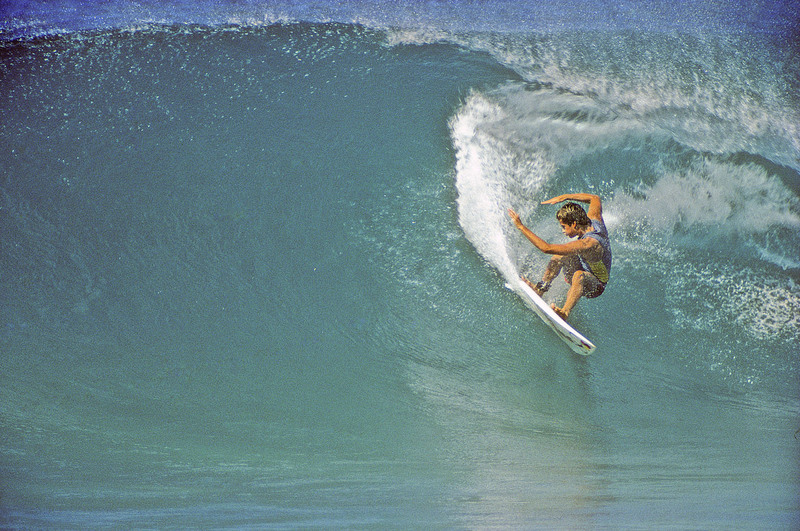 Curren’s soulful style and fusion of speed and turns single handily kick started the fish revolution. Tom showed the world how to ride a fish board and how to surf it with a modern style of surfing. Today nearly every surfer has a fish board in their quiver, thanks to Curren. 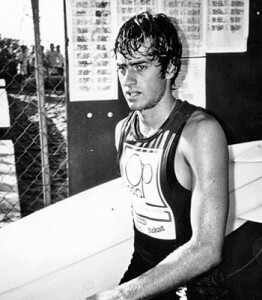 Curren was world champion three times – 1985, 1986, 1990, and won 33 championship events in his professional career, the latter being a total only bettered by Kelly Slater. He achieved near-mythical status both for his competitive drive and for his smooth, powerful surfing style. In his five year rise to World Surfing Champion, Curren led the way in cutting edge, perfectly tuned performance. Despite his youth, Curren was acknowledged as one of surfing’s true geniuses and a soulful original. He single handedly challenged the surfing community in almost every area of surfing’s culture and altered the mindset of hundreds of thousands of surfers around the world.